This modern home in the leafy Northern Sydney suburb of Turramurra, was given a beautiful update over a two week installation period. 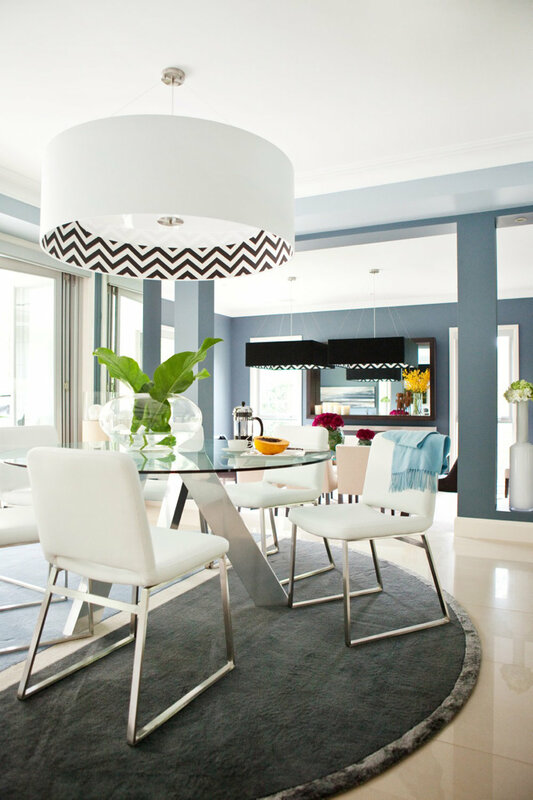 Again, given total creative freedom meant that Adam & his team were able to add contemporary colour, texture & a number of custom pieces to the home. "We designed pretty much everything for this project"Adam recalls. "From bespoke pendant lighting to a 3 metre long 'starfire' glass & reclaimed wood dining table, everything was a one off and unique for this project." “Adam & team made the working relationship an easy one. They took care of everything from the initial design process right through to implementation, whilst keeping us updated with progress and budgets. They spent a lot of time with us, presenting ideas and their vision for each room, as well as talking through the finer details. They managed suppliers and timelines and ensured that everything delivered was as approved.